What Are the Rules for Down Payment Gifts? When it comes to home buying, 20% is the standard amount that lenders prefer for down payments. But coming up with the cash isn’t always easy. Having someone give you the money reduces your burden, although it can potentially complicate things. Before you accept a down payment gift, it’s important to understand the guidelines you’ll have to follow. Who Can Gift Down Payment Funds? Lenders generally won’t allow you to use a cash gift from just anyone to buy a home. The money must come from a family member, such as a parent, grandparent or sibling. It’s also generally acceptable to receive gifts from your spouse, domestic partner or significant other if you’re engaged to be married. How much money you’re eligible to receive as a down payment gift depends on the type of mortgage you’re borrowing. If you’re taking out a conventional loan – which means one that’s backed by Fannie Mae or Freddie Mac – all of your down payment can be gifted if you’re putting down 20% or more. If you’re putting down less than that, part of the money can be a gift but some of it has to come out of your own pocket. The final split varies based on your loan type. If you’re taking out an FHA or VA loan, the entire down payment can be gifted unless your credit score is below the minimum threshold of 620. In that scenario, you’d be responsible for paying at least 3.5% of the down payment yourself. Regardless of whether you’re getting a conventional, FHA or VA loan, a down payment gift is only acceptable when the house you’re purchasing will be your primary residence or second home. Lenders require you to provide some detailed documentation any time a down payment gift is changing hands. Specifically, you’ll have to produce a letter which includes the name of the donor, their relationship to you, the date and amount of the gift and a statement that says the money is given with no expectation of repayment. Both of you will need to sign the letter and the lender may also require additional documents to back it up. For instance, you might be required to show copies of the donor’s bank statements to prove that they’re actually in a position to make a gift or a copy of a deposit slip showing when you put the money into your account. While there’s no set time frame on when you can accept a down payment gift, it’s always better to do it sooner rather than later. When you apply for a mortgage, most lenders look at your bank statements from the previous two to three months. If you’ve had a down payment gift sitting in your account for that entire time period, you may not have to jump through extra hoops to document it. 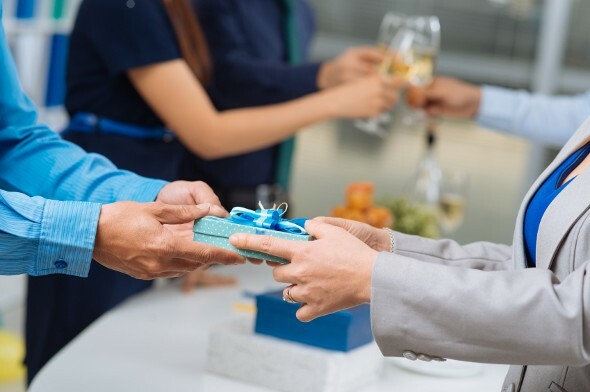 The IRS imposes a gift tax on certain monetary gifts and this tax is paid by the person donating the money, rather than the one who receives it. As of 2015, you could give up to $14,000 to any one person without incurring the gift tax. If you’re married and file a joint return, you and your spouse can jointly gift up to $28,000 to a child or other family member. There are no restrictions on how many people you can make gifts to each year. In some cases, both parties can agree to have the person receiving the gift pay the tax. If you’re thinking of going this route, it might be a good idea to crunch the numbers first to find out how it may impact your tax liability when you file. 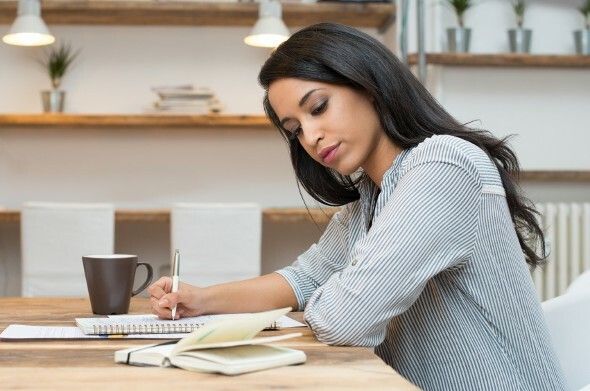 If all of this sounds confusing or you want help identifying and meeting your financial goals in general, you may want to reach out to a financial advisor. A matching tool like SmartAsset’s SmartAdvisor can help you find a person to work with to meet your needs. First you answer a series of questions about your situation and your goals. Then the program narrows down thousands of advisors to three fiduciaries who meet your needs. You can then read their profiles to learn more about them, interview them on the phone or in person and choose who to work with in the future. This allows you to find a good fit while doing much of the hard work for you.